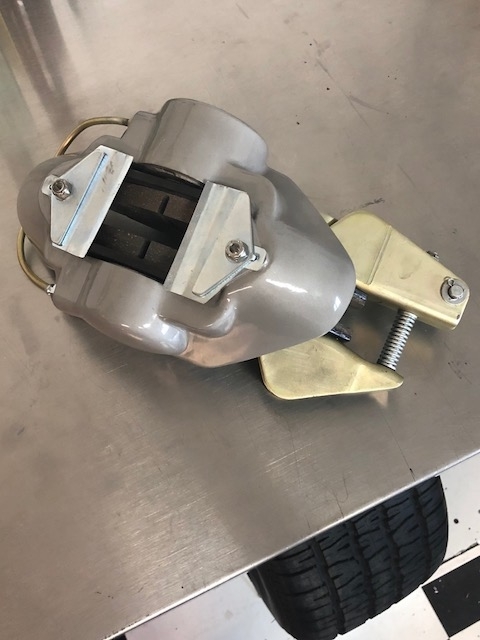 Hi all, I have just stripped and re-painted the front callipers and although they are in good shape some of the anti-vibration plated are split or have pieces missing, does anyone know where to get replacements or do i have to have them re-manufactured? Another thought does the Pantera use the same part? Thanks Richard. Denis you are what i call "the BOAK" (book of all knowledge) sorry to keep asking but you all seem to have far more experience than me, especially finding things - all i can assume that you have spent ages researching. Thanks again for your help. I will post some pics soon of work done so far. Richard. I've never heard Denis called THAT before, but you are right that he is a great source of knowledge about all things Mangusta. Between him, Steve L, Johnny Woods and a few others, the rest of us can sleep at night! ...at least with my 3 piston fronts, I think the pads would just fall out without these ! 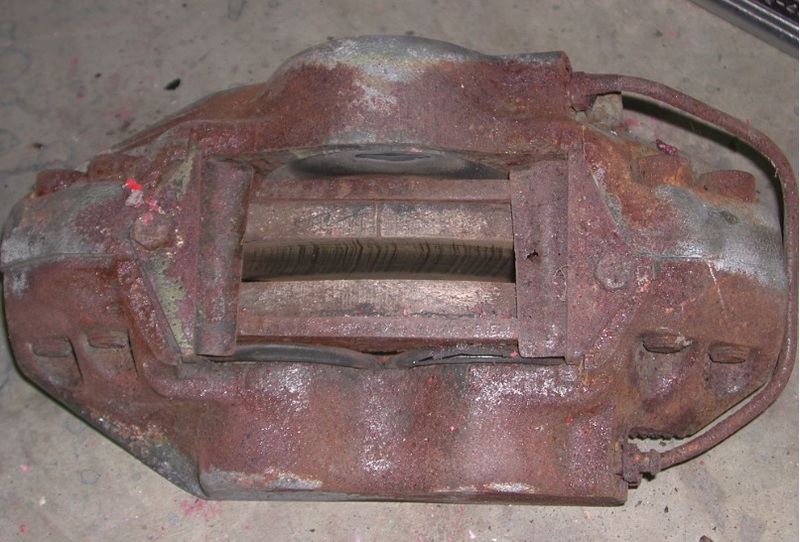 The 2 piston versions had the giant triangle, attached is a picture from 8ma1046...The triangle bracket from 8mA1076 (just 15 cars later, but different brakes !) is a different shape. ALRIGHT!!!! People gettin' busy with BRAKES!!!! Good work!!! I think that the spring steel, with a proper die or press form, should take the little bit of bending that is needed to put the "V" in the material of the anti rattle pieces. Keep up the good work guys!!! You'll be on the road in no time! Just remember, only clean parts on kitchen surfaces...no grungy bits!!! so 1076 came with the three piston front brakes?????? 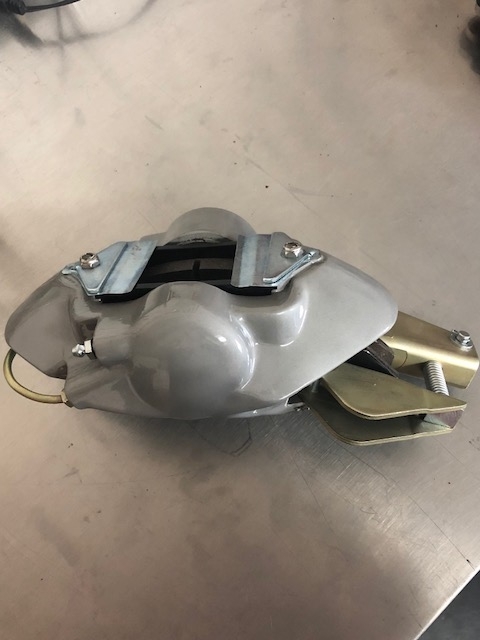 I have a seal kit for a Group5 Pantera caliper, which I believe was a 3 piston front caliper also, but may or may not be larger than what you have, which is why I ask! I'd always heard about the 3 piston front version, just never seen one on a Goose yet!!! - the pistons on the Girling 17/3 are 60mm and 43mm. - As I can tell, brakes changed around 8ma1056 or later--at least, pictures on Provamo show that '1056 had the 2 piston aluminum brakes, and by my '1076 they had gone to the Girling 17/3 and 12/3. 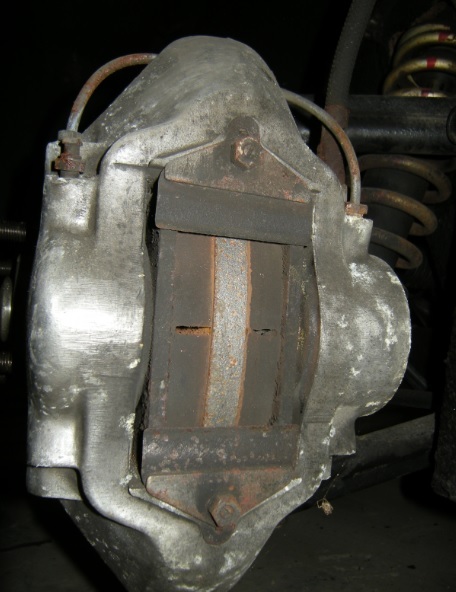 --I think brake hoses (at least rear) also shared with Aston DB6, aka GHP-71. great reference, the mother of all Girling in the 60's here. OK! Finally I can breathe again.....!!! If all the cars around 1076 and up got the 3 piston cast iron behemoths....that's about a quarter of the production run which is significant! I confirmed that the SP2524 seal kit is the same as I found for the 12/3 rear calipers. What did you find for the seal kit for the 17/3 fronts???? (I didn't see anything in the XLS doc that I could decipher...but hard to tell from the list unless you know the caliper assembly part number....and the magic decoder ring is missing.....!) All I could tell, is that the 12/3's were used up front on the 3500 GT's? Amazing that those small 12/3 pistons are so easy to find now..... I had to order them from the UK and a club member hauled them back here in '96-97 or so! Rear kits (for the 12/3) are the SP 2524 (SP2577 are for the big fronts). On 1076, none of the markings are Fiat (only Girling). See earlier discussion on this, at least Denis still had 2 piston rears...! 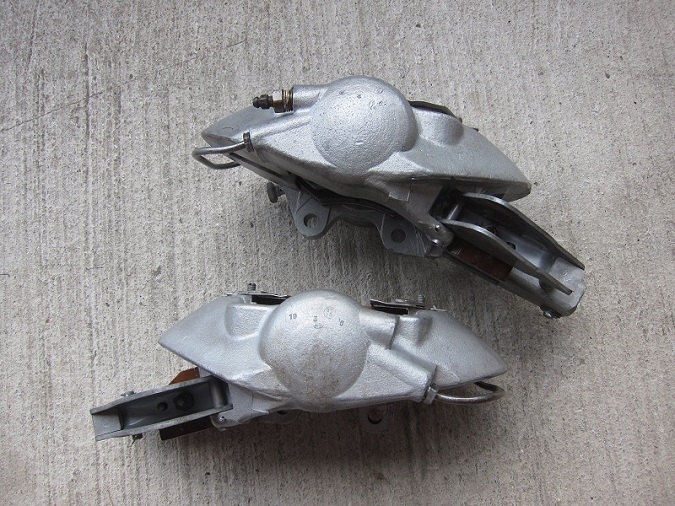 I saw the pictures of the handbrake caliper, and it looks suspiciously like the one on my Jensen Interceptor Mk 111.
the main calipers look different, but PERHAPS this might be of some value... If not - I apologize for cluttering up this post. I had my notes a bit jumbled and got the kit numbers messed up...old notes....old eyeballs! Corrected in post above also..... Thanks for catching this! The Goose type used on the 12/3 AND the ORA (2 piston) calipers of stamped steel variety, perhaps an early verion with cast arms holding the pads, and now your variety of stamped pieces. I just realised I started this discussion and never returned to it! Anyway I was successful in making the anti-rattle/pad retainers, I had about forty blanks cut from sheet spring steel, experimenting I found that trying to bend the blanks as is, caused them to split but heating them evenly to cherry red allowed me to bend to the shape but when cool they didn’t hold the shape, I found reheating and quenching made them hold their shape and spring. I will post some pictures later. Good show!!!! Nothing like learning new stuff.....about old cars! This is the best shot I can get due to having to use the flash. Just as a note.....not sure about rear calipers, but my front alloy "CR's" had dates stamped in them, presumably from unit assembly at Girling....VERY tiny characters....easy to miss! In addition to window dates, for some of you, this can help nail down when your car was built.....sort of! Rocky, Yes, in fact the attached references say that the Jensen Mk3 used the same Girling 17/3 front and 12/3 rear (same, meaning the same casting as used for years on Lambo/Maserati and Mangusta). Volvo P1800 also used Girling 17/3, but these are a different casting (and may be a different center, I suppose 3.0" instead of 3.5"). The picture you show for the rears shows the spacer used with the ventilated disk (as used for later Maserati). 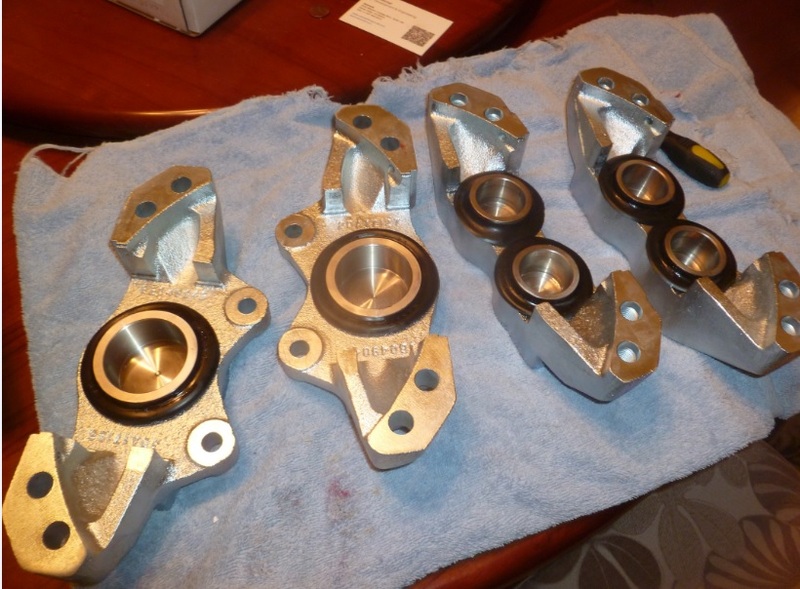 These are the rear calipers from 8MA1244 when I rebuilt them a few years back. I didn't notice the dates stamped into your rear calipers! Just visible..... Looks like Oct 2 of 68 or 69 (8 or 9)???? Perhaps you can clarify??? I would expect a 69 date for your car! Great!!! Was unknown as to dates in the rear alloy versions, now we know "at least one did!"!! FRONT: Type "CR" 2 pistons, 2-3/8" diam. Alloy one piece casting. 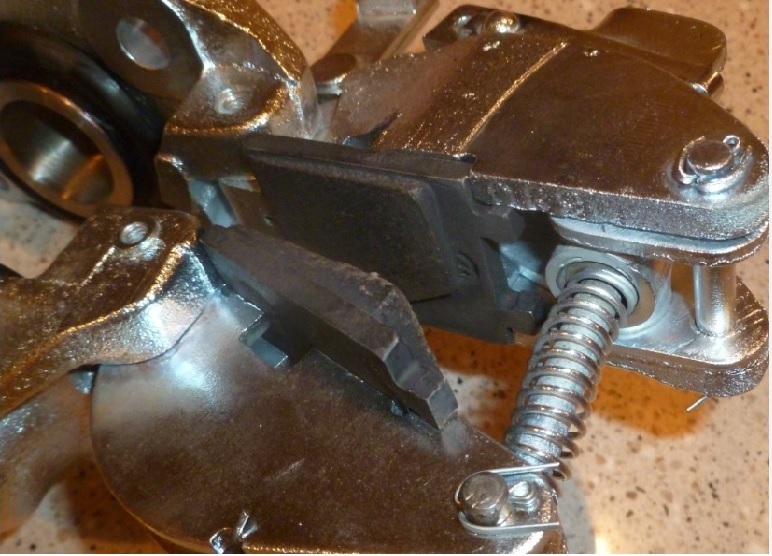 "Typical"
Parking Brake Pads: (I believe these to be the same for all, not dependent on caliper body. #GPS518H, GDB518, GD518, MGB518 Lotus Elan, Plus 2, Climax, and Elite models. Master Cylinder Seals: #4115452 7/8" "Fiat Seal" Round donut seal. Many M/C and Clutch apps! NONE of these had crossover passageways ala Pantera calipers, but used external crossover tubing. Bleeder screws for CR's and ORA's are same as Fords of the day...Mustang etc...at least they can be substituted... Can't say about 3 piston versions....maybe. OK, that's what I recall,,,,can edit post to put in ?? values or take ?? out. Now I can forget this....and remember something else useless.....! 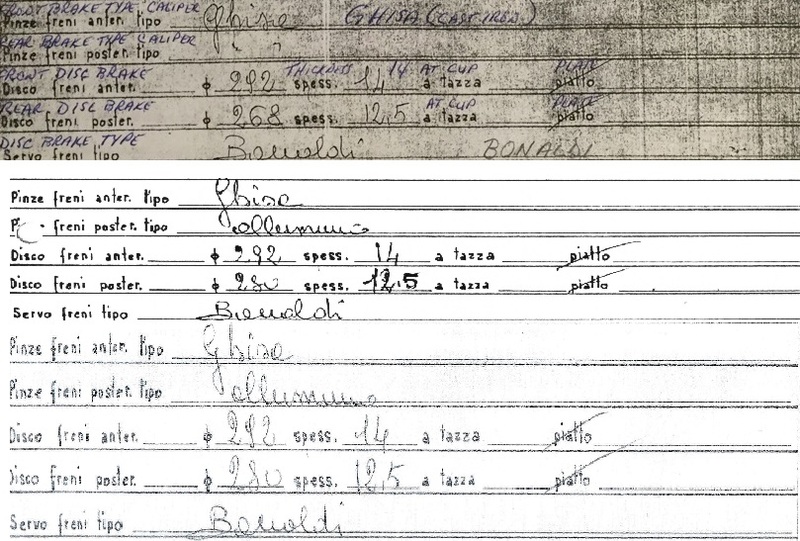 Steve, the piston sizes for 17/3 were 60mm and 43mm; rear 12/3 were (I think) 43 and 30mm (but some references for 12/3 variants show 38/30mm and kit 2531, or 48/34mm and kit 2526). Just search ebay for stainless pistons on Maserati or Lamborghini..The seal kit for brakes on '1076 is the SP2524. Guys, thanks for all the good info. I went ahead and ordered anti-vibration plates from MIE (great find, Lee!) and will post a pic when they arrive. 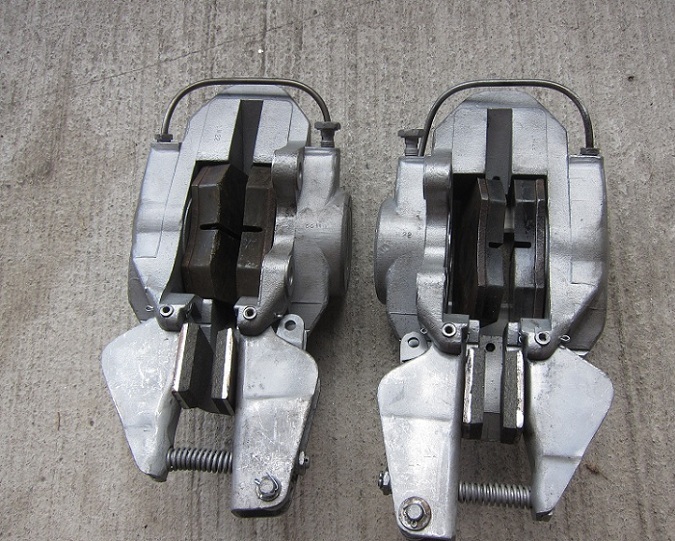 Also wanted to share two links which illustrate a group of Girling race calipers, apparently available from the UK. The alloy ORA is shown but not with it's hand brake accessory. (These numbers are from the same basic caliper on a Fiat Dino). I believe there were different iron caliper versions with different pistion sizes, but don't know what is normal for the Goose....I've only seen alloy Goose ORA's up close. Richard, nice work on those plates! 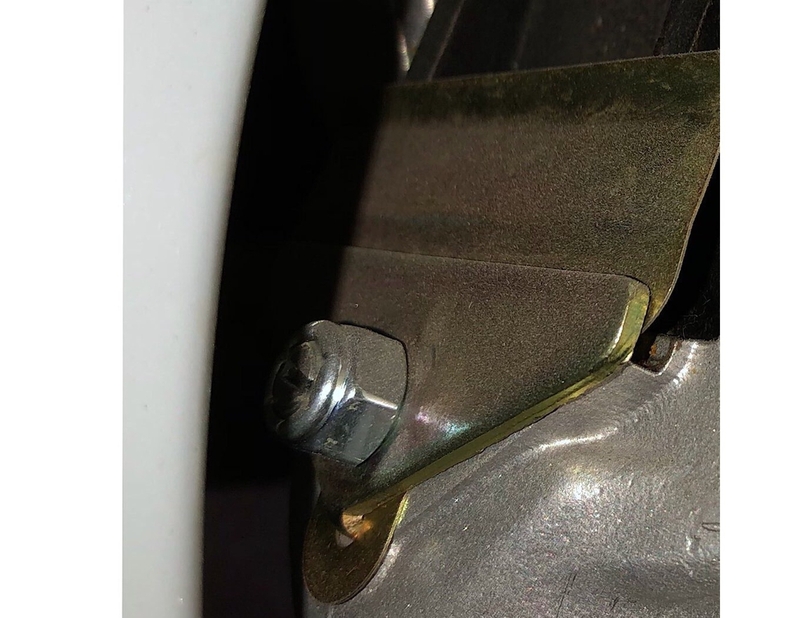 Ok, guess they link automatically Raceparts does have a selection of rubber Heim joint boots too, which seem hard to source reliable/economically. OK, I have updated the post above with the corrected piston diameters. Thanks!!! I also added the seal kit #'s and the M/C seal number. The ORA (two piston alloy) seal kit needs to be verified. My notes are getting a bit ragged and cluttered.....! Nate- I noticed rubber booties in the past from some place in the US, for WAY less $$ than the normal supplier of the Heim joints. Std US sizes...but the rubber doesn't care what you put inside it!!!! Can't recall who it was that also found this.....must be posted somewhere on this site!!!??? PS: The racing ORA's wouldn't have parking brake bits on them.....just more stuff to fall off the cars....!